Over three days in the beautiful setting of Euston Park, deep in the heart of the Suffolk countryside under a ‘Constable’ sky, riders from nine nations have been competing in five rides – a CEI3* 160km, two CEI1* 80km, a CEI2* 120km and a CEIYJ2* 120km. Whilst today (Sunday) saw high temperatures the previous two days had been slightly cooler. Over the three days horses and riders experienced some great riding through this unique ‘breckland’ terrain which offers some of the best endurance tracks in Europe. Event Director, Nick Brooks-Ward said “We’ve had an excellent three days of competition here at Euston Park, including a very good CEI3* 160km entry. The excellent completion rate of 60% demonstrates the care that the competitors have taken with their horses under testing weather conditions which reached 30 degrees at times. Everyone came home safely which is all you can ask for. 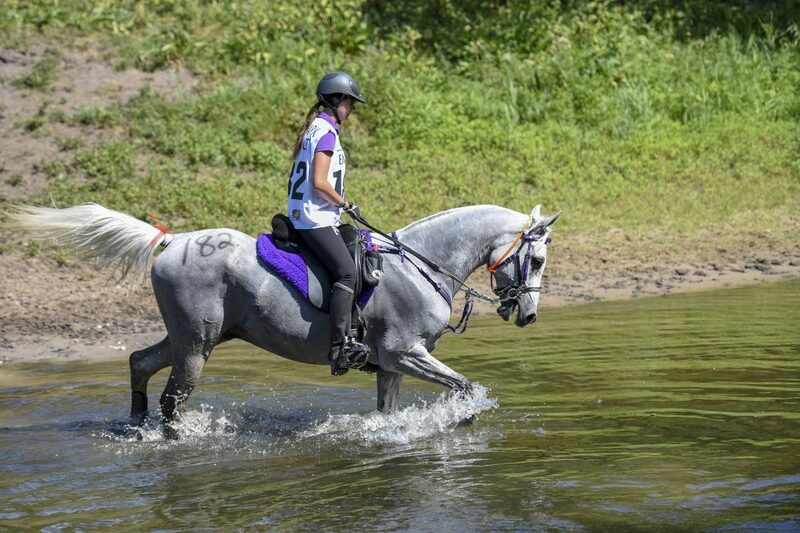 As always I am grateful to all of the officials and stewards for the part they play in making this a wonderful event which has created an excellent building block for the HH Sheikh Mohammed Bin Rashid Al Maktoum UK Endurance Festival in August”. More than 160 volunteers worked over the three days as course marshalls for the rides. This dedicated team offer up their time to support the rides and ensure they run safely and efficiently. The next rides will take place August 3rd – 4th 2018 and will include CEI3* 160km, CEI2* 120km, CEIYJ2* 120km, and CEI1* 80km International Rides and 40km GER Novice, 40km GER and 80km GER national rides.